Filing season began a little more than a week ago, and while some taxpayers have already filed their 2015 returns, many others are still gathering receipts and shopping around for a tax professional. 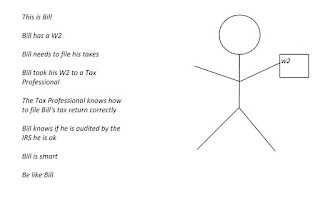 To help the latter group, the IRS suggested ten things to do when choosing a tax preparer. 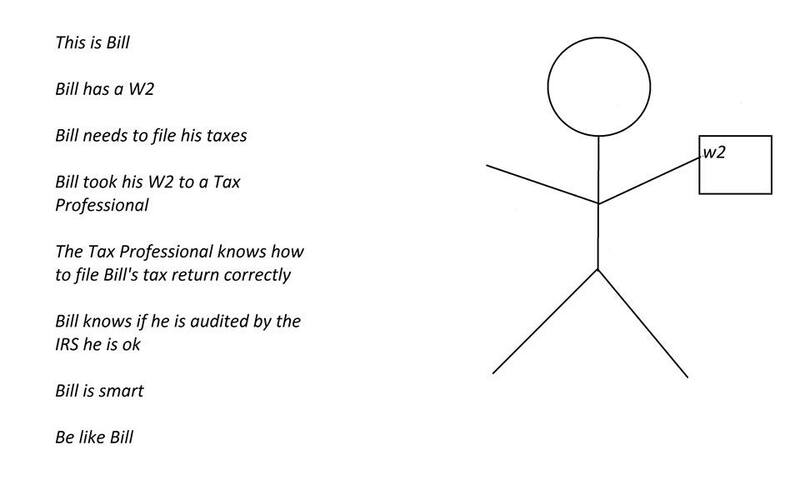 Ask to E-file Your Return. Review Your Return Before Signing. My philosophy for all phases of life. Be Kind - Be Fair - Be Happy!! Everyone knows someone in one way or another that has been scammed, or someone tried to get them in a scam. But when it comes to taxes, people tend to panic and not look at what is happening with a specific situation. Make sure your elderly relatives and other people who may be susceptible know of these scams and to talk about what they may feel is a scam. This scam has a person acting as an IRS agent and informing you they have a warrant for your arrest. Please get a prepaid card or wire money directly immediately or you are off to jail. REALLY!! If you are concerned that you owe the IRS money, call them directly at 1-800-829-1040. Please understand the IRS does not send emails!! It's a direct scam to get information from you so they can steal from you. People use the above scam to get your information to then file a false return for a big refund. The problem can be fixed, but it's not an easy process. Safeguard your social security number and file your return as soon as you have your paperwork. Research your tax preparer, search for reviews and ask for referrals. Beware of faked returns to get you a refund - after the preparer skims off the top. If you get audited, it's your problem as the IRS holds the taxpayers legally responsible for the information on their return. Fraudulent charities are always a problem. But if you use one as a tax deduction and are audited, you could be hit with more taxes and a penalty. Beware of phone calls asking for donations and requests through the mail. Never give them your social security number - this is another way they are stealing your identity. Please be aware of these scams - and there are many more out there with new ones everyday. When in doubt, please call the IRS directly at 1-800-829-1040 for more information on your account - or - research your concerns online. 2016 Tax season opens January 19th for the nation's taxpayers, which the IRS will begin accepting individual electronic returns. The filing deadline to submit your 2015 tax returns is Monday, April 18, 2016. Due to Emancipation Day on Friday the 15th, the filing deadline is pushed out to the following Monday. Due to Patriots Day, the deadline will be Tuesday, April 19th, in Maine and Massachusetts. What are some of the most outrageous tax deductions of 2016? Lets not give the IRS a reason to look at your tax return.